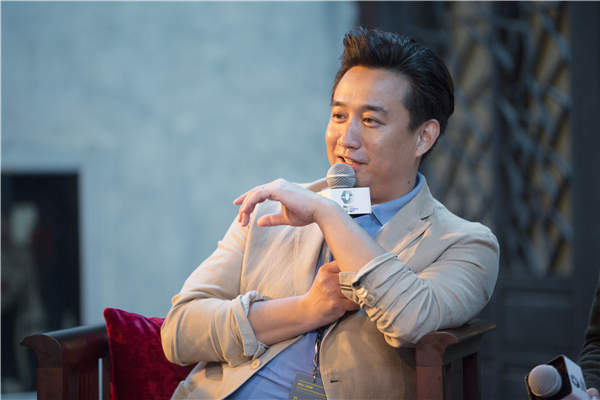 A big star in his own right, Huang Lei uses his celebrity status to organize China's fastest-growing theater festival. Each year at the increasingly prestigious Wuzhen Theater Festival, there is someone who presides over the final show of the young artists' competition. He counts the seats still available at the West Warehouse Theater, rushes out to the Youth Plaza where a long line is always waiting and ushers in a lucky few into the venue. Before the lights dim, he takes out his cellphone and demonstrates how distracting it is for the performers and nearby viewers－a viewer's face lit from below is eerily reminiscent of a ghost story. He gently and humorously reminds the audience of the importance of having a totally attentive house for the contestants. "It could be the break of a lifetime," he says. This usher extraordinaire is Huang Lei, one of the co-founders and a producing director for the festival. He is also a big star in his own right, arguably the most recognizable face among the brain power that has catapulted the Wuzhen event into the pantheon of theater in record time. In a sense, Huang is to the Wuzhen Theater Festival what Robert Redford is to the Sundance Film Festival. But unlike Redford, Huang is not a resident of the place that he has associated his name with. Earlier this century, he was making a television drama series in the water town, taking on the hyphenated job of writer-director-male lead. Chen Xianghong, the boss of the newly-opened scenic attraction, learned of the production and offered support.